Abi Williams has been named the new director of the Institute for Global Leadership (IGL), beginning on July 1. He was also appointed as Professor of the Practice of International Politics at The Fletcher School of Law and Diplomacy. Williams‘ term will follow Founding Director Sherman Teichman’s three decades as IGL head, which ended with his retirement in May 2016. Williams is currently president of the Hague Institute for Global Justice, a think tank in the Netherlands. Previously, he worked at the United States Institute of Peace and served as director of strategic planning for two United Nations Secretaries-General, according to an announcement by Provost David Harris. 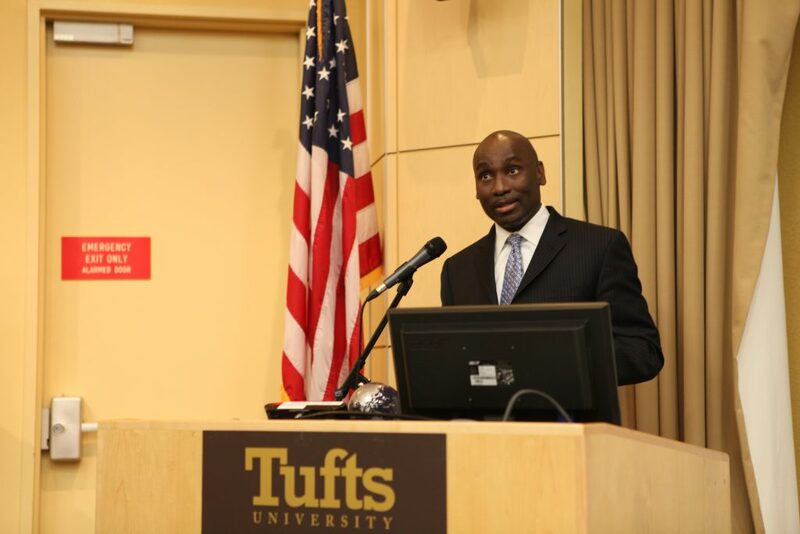 Williams referred to his appointment at Tufts as a “homecoming,” having graduated from the Fletcher School of Law and Diplomacy with a Master of Arts in Law and Diplomacy and a Ph.D. in international relations. Williams has also participated in the IGL’s Education for Public Inquiry and International Citizenship (EPIIC) program. Williams said the IGL’s programs, particularly EPIIC, are critical to educating future leaders, and he hopes the IGL will continue to focus on issues of peace, justice and security. His primary goals are to link the IGL to other Tufts departments, maintain IGL’s academic rigor and engage alumni and Tufts administrators. According to Senior International Officer Diana Chigas, who was on the search committee for the IGL Director, more than 110 people applied for the position. She explained that the search committee looked for a director with both practical and academic experience, and that Williams’ experience in both teaching courses and serving as a foreign policy practitioner made him stand out. “Abi distinguished himself as someone who had all the qualities we were looking for: significant experience in both academia and policy and practice, as well as a strong and demonstrated commitment to teaching and mentoring students, and a collegial personality and approach,” Chigas told the Daily in an email. Fletcher School Professor of International Politics Richard Shultz, also a member of the search committee, said that the search began last fallx and the committee made its decision last month. He said that Williams stood out given his mix of experience, and that Williams is a notable and well-recognized figure in the international relations field. Chigas said that, in addition to teaching EPIIC and leading the IGL, Williams will likely reach out to Tufts faculty and students to better understand the role that the IGL should play. “He will also be exploring ways to enhance interest and participation in IGL’s activities among a broader and more diverse range of Tufts students,” Chigas said. Williams emphasized that he is looking forward to returning to Tufts. He particularly wants to encourage the IGL to connect academics, policy and the private sector.